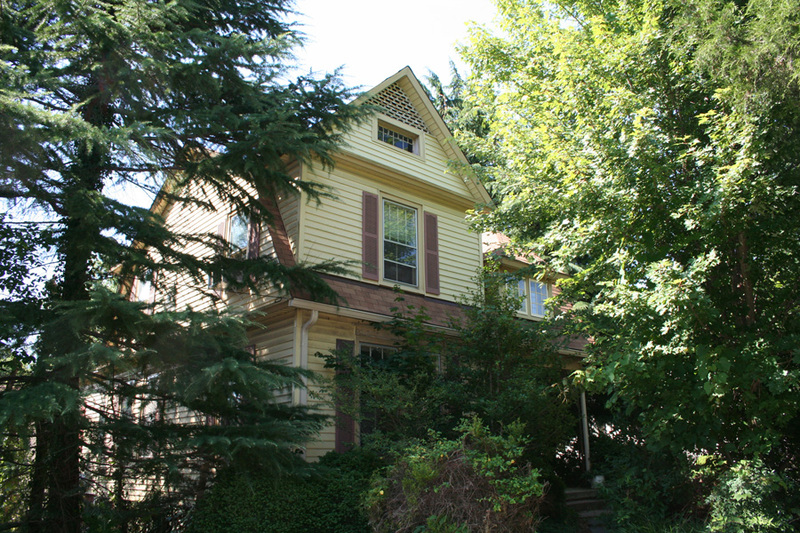 Transitional Queen Anne/Colonial Revival. 2-story frame house with intersecting gable and gambrel roof. Hip-roofed dormer. Porch altered with cast iron supports. 6/6 sash windows.